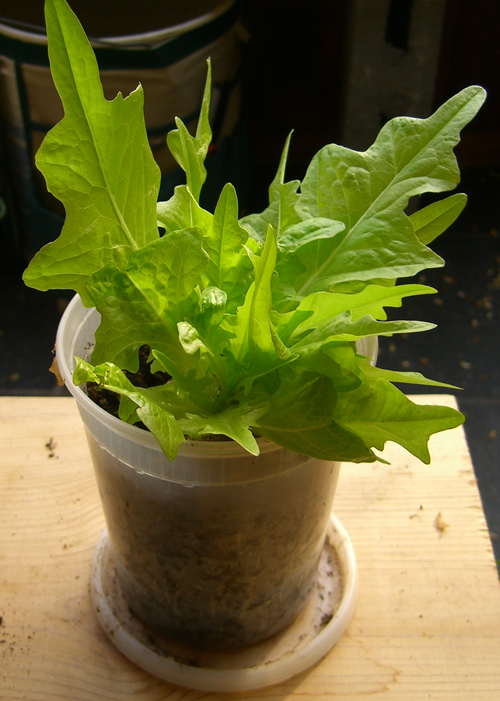 Until the plant is established, we water with a mister so the seed/seedling is not disturbed. 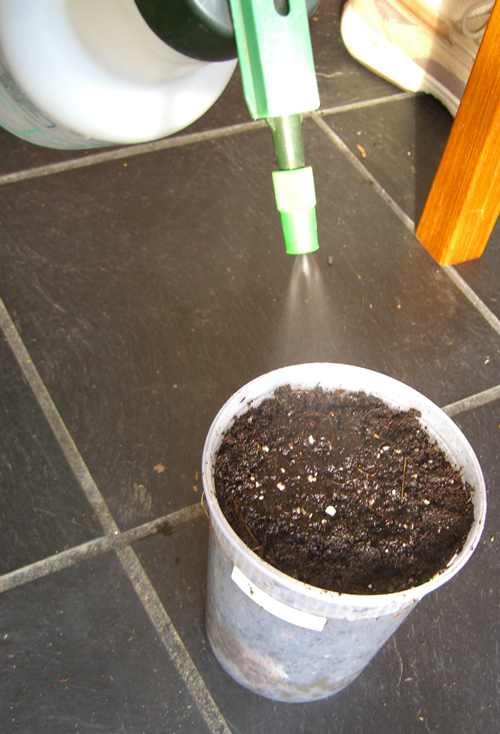 Any kind of a spray bottle will work, we use a quart-sized one from the garden store. 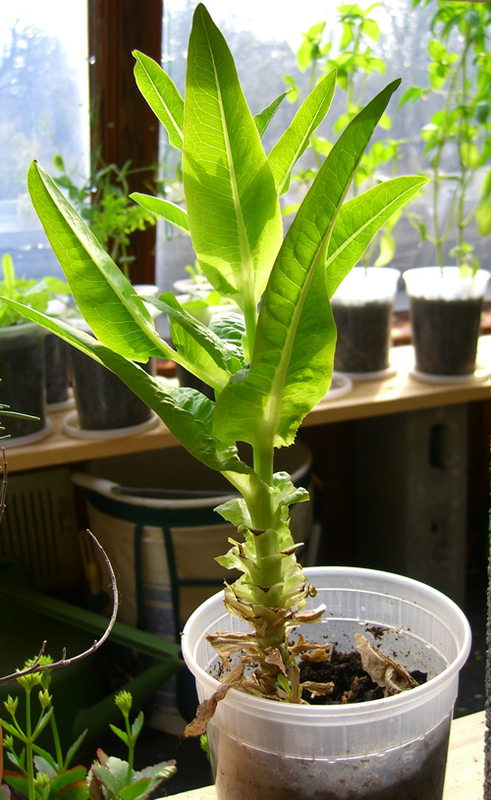 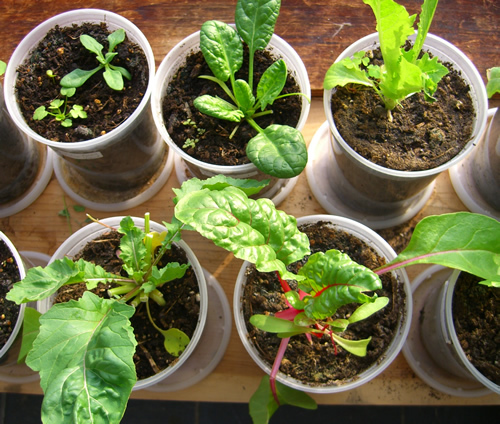 At this size, they can be watered from a can and the larger leaves can be harvested. 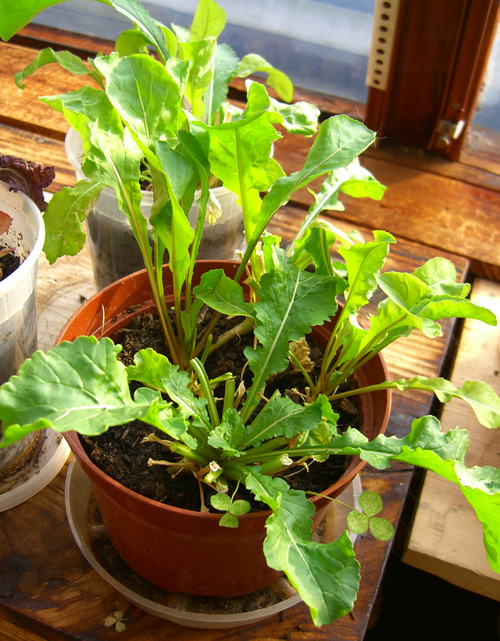 Three arugula plants in one pot, harvested several times.